When reading Shari’a and Violence in American Mosques, a picture emerges that may give researchers, as well as law enforcement officials, a way to monitor or potentially to predict where violent jihad may take root. 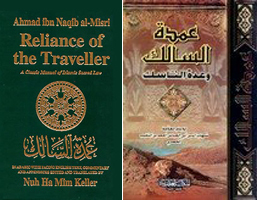 Potential recruits who are swept up in this movement may find their inspiration and encouragement in a place with ready access to classic and modern literature that is positive toward jihad and violence, where highly Shari’a-adherent behavior is practiced, and where a society exists that in some form promotes a culture of martyrdom or at least engages in activities that are supportive of violent jihad. The mosque can be such a place. The survey, Shari’a and Violence in American Mosques, found a strong correlation between the presence of severe violence-promoting literature and mosques featuring written, audio, and video materials that actually promoted such acts. 51% of U.S. mosques had texts that either advocated the use of violence in the pursuit of a Shari’a-based political order or advocated violent jihad; another 30% had texts that were moderately supportive of violence. 19% had no violent texts at all. 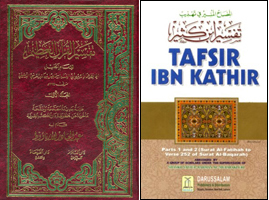 The mosques surveyed contained a variety of texts, ranging from contemporary printed pamphlets and handouts to classic texts of the Islamic canon. From the perspective of promoting violent jihad, the literature types were ranked in the survey from severe to moderate to nonexistent. The texts selected were all written to serve as normative and instructive tracts and are not scriptural. This is important because a believer is free to understand scripture literally, figuratively, or merely poetically when it does not have a normative or legal gloss provided by Islamic jurisprudence. 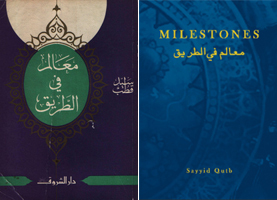 Alarmingly, many of these texts are currently endorsed by The American Muslim website in its “List of Recommended Books on Islam.” al-Misri’s Umdat al-Salik, the Tafsir Ibn Kathir, and the Qutb’s explicitly political tract, Milestones, are each singled-out for praise. 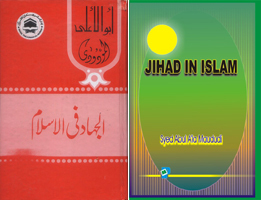 In addition, the list of recommended books contains other works by several writers included in the Mapping Shari’a Project‘s survey of texts which advocated the use of violence in the pursuit of a Shari’a-based political order or advocated violent jihad. 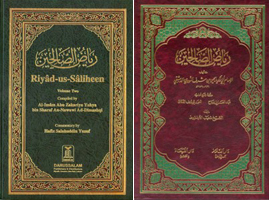 The American Muslim recommends books by Maududi (author of Jihad in Islam and Tafhim al-Qur’an) and al-Nawawi (author of Riyad-us-Saliheen). The American Muslim also recommends work by the spiritual leader of the Muslim Brotherhood, Yusuf al-Qaradawi. It is no surprise that the website and its author, Sheila Musaji, have been highly critical of US anti-terror policy and any negative criticism of Islamism and the Muslim Brotherhood. 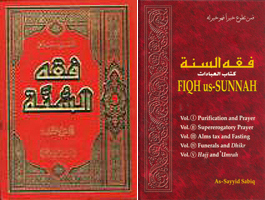 The literature assessed in mosques includes the following works. 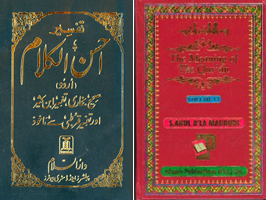 Click the book covers below to find out more. "If someone [prevents others from accepting Islam], then it is the duty of Islam to fight him until either he is killed or until he declares his submission." "Allah made it obligatory for the Muslims to fight in Jihad against the evil of the enemy who transgress against Islam." “The truth of the matter is that he [who] becomes an unbeliever... is to be killed for his unbelief." "If someone does this [prevents others from accepting Islam], then it is the duty of Islam to fight him until either he is killed or until he declares his submission." "[the Believer] is required to oppose all those religious, cultural and political systems that are founded on rebellion against God and force people to submit to falsehood instead of the Truth." "When the situation calls for Jihad then the foremost priority of a Muslim should be Jihad. In such an event his passion for touring the world should yield to the spirit of Jihad against the infidels and then he must with his full force fight against the enemy." "It is [the] duty [of Muslim men who propagate religion] to wipe out oppression, mischief, strife, immorality, high handedness and unlawful exploitation from the world by force of arms."